Aaaah! Too many good cars to choose from these days. I commute 120km each day to/from work (round trip) so good fuel economy and seat comfort are important, as is reduced NVH. I also want something at least a little fun to drive and chuck at the corners, even though theres's no many of those around here (Ontario - north of GTA). I know, I want it all. Automatics need not apply, already have one in the stable, manual only please. I am considering the Mazda3, Ford Focus and Subaru Impreza among many others. It it would also be nice if it was available in an actual colour. Not black, white silver or grey. I think you already answered your own question. 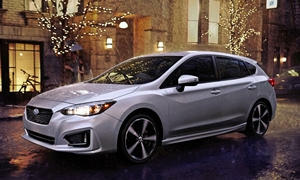 Lots of good choices out there but I would start with Subaru Impreza and work my way down. Subarus are the cheapest AWD car choice out there with a MT. Sadly the larger Legacy has done away with them. I'm not familiar with Ontario winters so you would be the better judge on how a FWD car would do there. I'd rather have an AWD for those conditions. 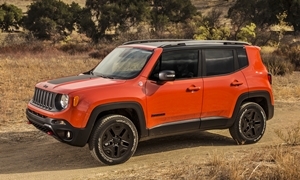 There are some CUVs with AWD such as a Jeep Renegade but they won't have the same sense of handling like a car. I'd go larger to get a more comfortable ride. 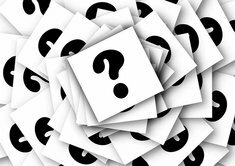 Thanks for the responses! I used to have a 2003 Impreza TS wagon, was a great car for me so a newer Impreza is a strong contender. The Regal is a car I hadn't even thought of (such suggestions are the whole reason I posted the question!) It sounds interesting to me. However, my other half is insisting on a smaller more efficient car, and also refuses to even consider anything "american" and worries anything european will be a money pit. Oh well, have to narrow it down somehow! The Buick Verano has comfortable seats, is smaller than the Regal, has been reliable in our survey, and is a great value as a used car. OTOH it is sort of American and fuel economy isn't the best. A manual might only be offered with the turbo engine, which is good for performance but not fuel economy. I like the Ford Focus for quietness and handling, and it's reasonably reliable as long as it's manual. Also American. I like the Mazda3 and Impreza except that they are less quiet than the average compact. They might still be the strongest candidates, depending on what you think of the noise level and the seats. 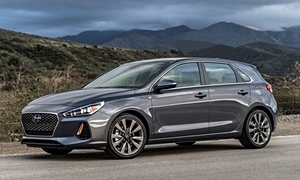 The Hyundai Elantra GT might also be worth a look. It's not outstanding in any area, but is pretty good in just about every way and they tend to be cheap. Probably a little quieter than the Mazda and Subaru. 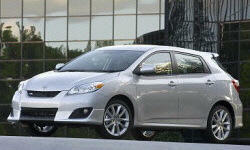 I would try a Toyota Matrix. The manuals are an absolute steal, they come in AWD, and they are bigger inside than you would think. I used to own one, and it started right up at minus 30 C in calgary winters when many others struggled. I believe you can get the Matrix with a manual, and you can get the Matrix with AWD, but you can't get a Matrix with both. You can get AWD and Automatic. I used to own one. Sure. But they specified "manual only." Right, must have misread your comment. On the other hand though, we all know that when the chips come down, good tyres makea much bigger difference than the low speed on demand AWD you get in most vehicles. 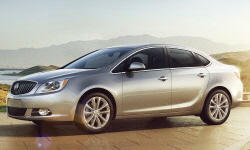 Allot of torque-fun turbocharged, manual transmission cars from GM that are based on German maker Opel for C $15,000. The Verano 2.0T with 6-speed manual as our old 2013 Premium model would get 37 mpg at 70 mph on 18" wheels. As Michael has pointed out it is very reliable and ours backed that claim up. Perfect size for highway commuting and as quiet as a Lexus LS. 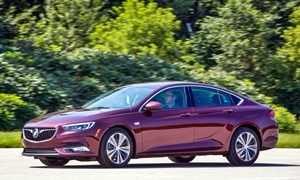 The Regal assembled in Canada and is a little bigger than the Verano can be also had with 6-speed manual, or go automatic with the AWD model. 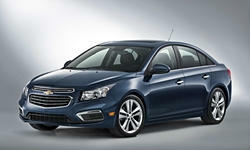 Chevy Cruze is similar size as the Verano but with smaller engines 1.I or 1.4T. Chevy Sonic.is even smaller with the same engines.